The IPC 18 Dual Slide is a perfect ride for large crowds and competitive spirits looking to race up and down the slide. At 18 feet tall with an 11-foot tall slide platform angled at 40 degrees, this inflatable slide doubles the fun for all riders. 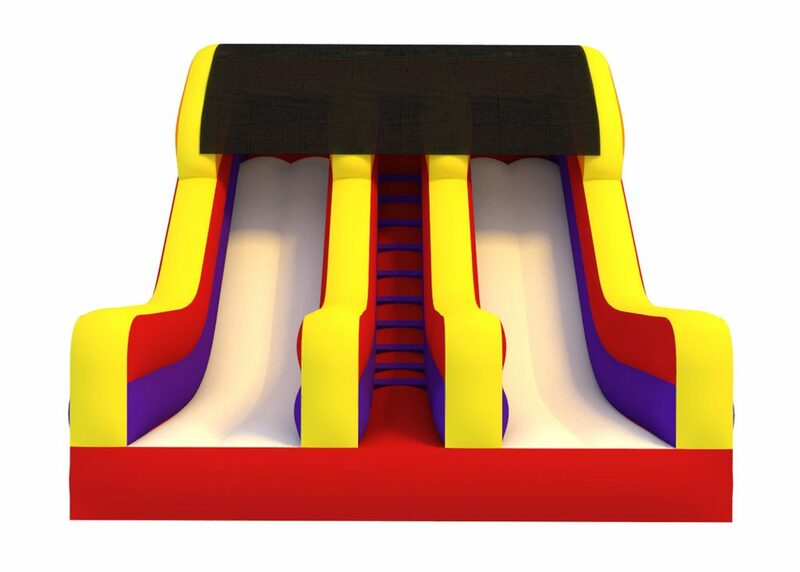 Its “no-jump” safety meshes at the top, high inflatable side walls and proper use safety instructions printed on the slide ensure that riders enjoy the slide safely.